Over the past half-century, bookselling, like many retail industries, has evolved from an arena dominated by independent bookstores to one in which chain stores have significant market share. Yet unlike other retail industries, bookselling, many people believe, should be "above" questions of profit. 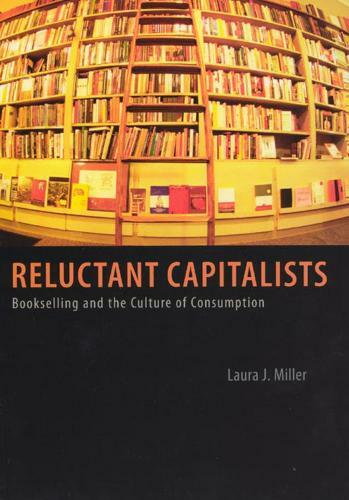 In "Reluctant Capitalists", Laura J. Miller investigates what drives this belief and how it is affected by the changing retail environment. Miller argues that the independent/chain dynamic is not entirely new - it started a century ago when department stores began selling books and has culminated in the advent of Internet marketplaces. Miller uses interviews with bookstore customers and members of the book industry to explore how these changes have met resistance from book professionals and readers who believe that the book business should be ethically superior to market forces. In the process, she also teases out the meanings of retailing and consumption in American culture at large, underscoring her point that any type of consumer behavior is inevitably political, with consequences for communities as well as commercial institutions.